Delve into the glory days of Malacca by understanding its past in Flora de Lamar, a museum housed in the replica of a Portuguese ship that sank in 1512. More accurately referred to as the Flora de Lamar, the staggering 34-metre-high, eight-metre-wide replica that is the Maritime Museum actually represents an ancient Portuguese ship which sank at the coasts of Malacca on its way back to its motherland. 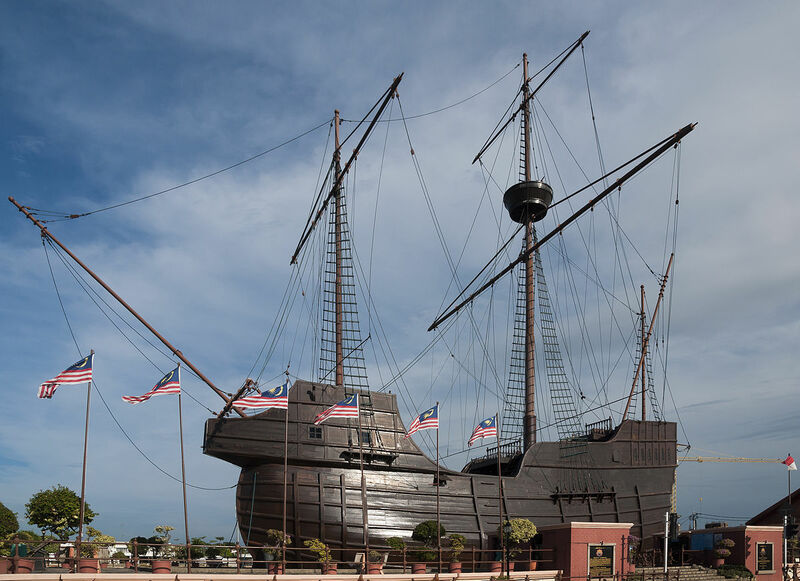 The large ship museum establishes a theme that focuses on the maritime history of Malacca as well as the golden ages of Malacca’s Sultanate as the Emporium of the East when a number of key turning points saw invasions and takeovers from various factions, including the Portuguese. In fact, some may be surprised to know that many considered the economic centre of the country to be Malacca (locally known as Melaka) instead of the current commercial capital of Kuala Lumpur. As a state with a long list of rich, historical occurrences, Malacca once stood as a powerful trading hub that fuelled economic activity through supplies from merchants and traders. Today, the state’s seafaring history is laid out in the Maritime Museum. With its stories of adventure and exciting events for anyone interested in our heritage, this site offers a glimpse of the saga of Malacca’s glory days and is definitely something not to be missed out on. Getting to the Maritime Museum of Malacca should be easy enough. A colossal replica of a period ship sitting in the centre of a network of other historical attractions, it’s hard to miss and locals can easily point you in the right direction if you just ask around. It is located just ahead of the Stadthuys (believed to be the oldest-surviving Dutch building in the East), exactly opposite the Medan Samudera (a handicraft and local produce station that focuses on tradition and heritage). From the Stadthuys, it is highly encouraged to walk to the Maritime Museum. This way, visitors also get to explore the numerous other landmarks scattered throughout the area including a series of museums, galleries, mosques, churches and other historical forts around Bandar Hilir. Throughout most of the 14th century, the state had remained as an inconspicuous fishing village until it attracted the attention of Parameswara – a Hindu prince from Sumatra – who based his headquarters there after breaking off from the Majapahit Empire and moving from Temasek (now known as Singapore). From then on, Malacca became a port of choice for waiting out monsoons and resupplying trade ships plying the strategic ‘Selat Melaka’. It grew in popularity and power as a strategic location that stood halfway between China and India, with easy access to the spice islands of Indonesia. It wouldn’t be long until merchants from all over the East began looking towards the trading spot for business. Following this, a number of significant events took place, including the consolidation of the state’s adoption of Islam in the mid-15th century, a conflict between the Portuguese and the Malaccans which saw the short-lived reign of the foreign force, the development of the famous A’Famosa fortress by the Portuguese settlers and much more. The Maritime Museum as well as the many attractions surrounding it shed light on the eras relevant to these historical stories. It may not be the largest museum in the world but in its unique structure, the Maritime is filled with interesting resources that recount the bygone days of a great seafaring state. 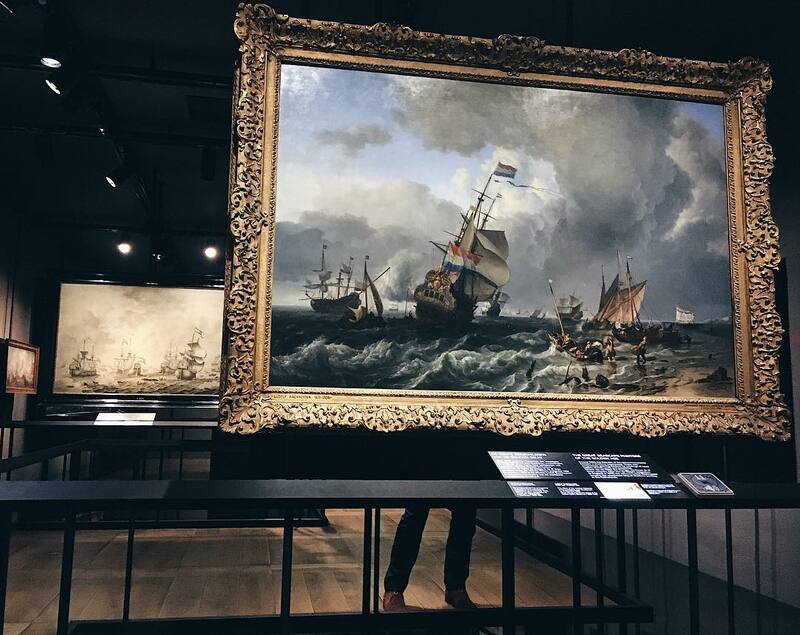 Along with exhibits and items including porcelain, silk, textiles and spices used by the seamen of the yesteryears and even sunken treasures hauled from Diana (another shipwreck), there are also a number of paintings that depict the Straits of Malacca as a strategic location for traders. The museum also showcases the eras that Malacca has gone through, from the time of the Malacca Sultanate to the Portuguese, Dutch and British eras. A large collection of ship models are on display at the Maritime and you’ll be able to learn more about their types and functions from the displays. 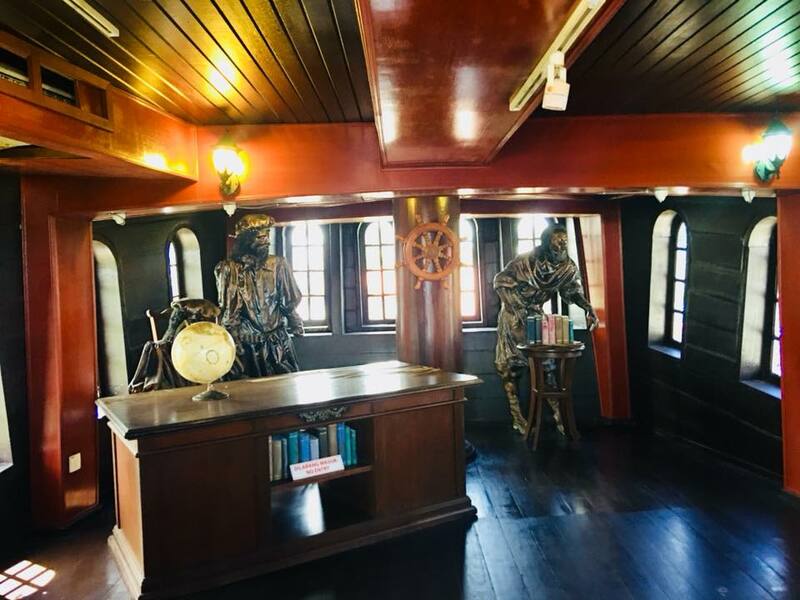 Climb up to the upper deck of the ship to view the diorama of the captain’s cabin and experience what it’s like to be a sailor of the Malaccan age. It’s open from 9am to 5.30pm and admission into the museum is RM3 per adult or RM1 per child. Don’t forget to check out the other museums in the area. Going up towards St Paul’s Hill and St Paul’s Church, another two museums can be found, namely the Architecture Museum and the Stamp Museum. Slightly further away from the Maritime Museum is the Islamic Museum of Malacca. Of course, once you’re left in need of a bite to eat from all the exploring you’ve done, you can simply head over to Jonker Street where you can find delectable food and eateries or try some layered cake on the top floor of Dataran Pahlawan which is also known for being a shopping spot. Accommodation and modes of transport are plentiful, so you can wander around to your heart’s content.